In the beginning… After we all got over the fear of what students might do with the internet if we allowed them to access it, face-to-face (f2f) learning incorporated technology and elements of online learning. Then we said “run with it” and some literally did… Never to be seen again. Now in the era of persistence to complete and transition students, it’s time to go back to the basics. Research reflects that time-after-time success is directly correlated with the relationships we make. So we call the students right? And, we call. And, we call. Fast forward to this era. How many friends do you have at work? How often do you have time for meaningful conversations in the workplace? Do you even have time to wait for an answer to the standard: “How are you?” greeting? Think your colleagues really take the time to answer this “greeting” or do you get a “Fine, thanks. How about you?” standard reply? Do they take the time to tell you their dog died; they just found a deal on a car; their long lost aunt just flew into town; or they are just really sad today? I can tell you our students are having these meaningful conversations. They’re not long. They’re succinct and to the point. But, they’re of meaning. And, their network of friends is vast! Employment, community, friendships… relationships are happening via social media sites! Why should your virtual classroom be any different? Did you know Skype and Facebook had a baby? A new f2f experience to enhance relationships was born! Is this too scary of an endeavor to take on at your school? Learn how to keep it simple and see how you can use FB to put education “in the face” of your students 24/7, form relationships with them, and just maybe flip education as we know it. Stop centering student learning on classroom and curriculum infrastructure. Offer the exoskeleton to your students and see how they take off with meaningful learning! But, don’t go it alone! Let’s place this experiential learning, jumping on board with relationships and f2f student contact in the center of our e-learning education together! To learn more, come join in this synergy of collaboration at the next FLC conference session entitled “Florida Adult & Technical Distance Education Consortium: Making F2F Classes for Online Students a Reality” at 10am on Friday, May 11th,! Bringing the Best of Classroom-Based Learning to Online Learning (and Vice Versa)! Could you imagine an adult education classroom where students are just given worksheet after worksheet or book after book to read on their own? How dry and boring would that be, and, more importantly, how quickly would those classrooms be empty because students leave due to sheer boredom? Now imagine the exact opposite of that first situation: a fun, interactive, visually-stimulating classroom where all three types of learning styles are accommodated and everyone’s engaged. Doesn’t that sound a million (or more) times better? What sometimes is assumed (and we all know what happens when you assume) is that an online class can’t or won’t have the same components as a successful, engaging, and fun face-to-face class. But yet, nothing can be further from the truth! By incorporating varying technologies, you can absolutely do virtually all of the amazing things online that you do in a classroom! Want to have small group activities so you can target certain learners needing certain skills? Yup – you can do that online! Want to have large group instruction so you can get the most “bang for the buck?” Yes – you can do that too! What about student study groups or peer tutoring sessions? Oh, that can certainly be accomplished! How about having guest speakers talk to your students about how the things they’re studying in class pertain to “real life” beyond the GED test? That’s easy to accomplish! And the list goes on & on…experiments or lab studies, field trips, games, videos, etc! So what does it all boil down to when everything is said & done? Innovation, technology, and the willingness to try something new and different would be my answer. Do you want to know more? Well, I can’t give away all of my “secrets” now, but if you come to the FLC conference and attend the session called “Florida Adult & Technical Distance Education Consortium: Making F2F Classes for Online Students a Reality” at 10am on Friday, May 11th, you’ll learn more! Studying for the GED can be daunting. Students may be embarrassed to go to a program to study, be nervous about additional costs, or think that they could do a better job with their own schedule. FLC has a GED section to our website that can answer any question you might have about getting a GED; testing places, program sites, online resources and FAQs. The GED testing service has a series of videos that will answer FAQs from the source. This is great if you find the wording too confusing, or just want to have someone tell you more about the test. Besides taking the GED, let your students know that there are other options. 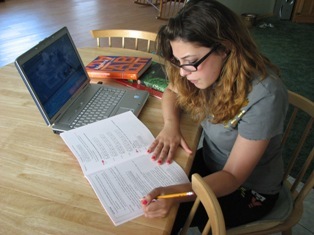 Florida Virtual School has classes for students to complete so they can get their high school diploma. Online Adult Education courses can be enormously helpful for the student who wants to get a standard high school diploma versus a GED. Florida Adult and Technical Distance Educational Consortium also has some free classes on subjects that could help you study or get high school credit. Take a practice test! You can do this initially to see what you need work on, throughout the studying process as a check in, and then again at the end to feel more confident and ready. Nothing will help ease the nervousness like getting familiarized with your opponent. After you have your questions answered, have taken a practice test, and decided that you want to take the GED, visit Florida GED Task force. This is your ultimate source for any question and any section you could have issues with on the test and a website with a corresponding activity. As an educator, if you want to practice with the NEW GED assessment for the 2014 updated GED, don’t forget to check out GED’s new assessment materials. Join FATDEC Feb. 1, in Orlando! 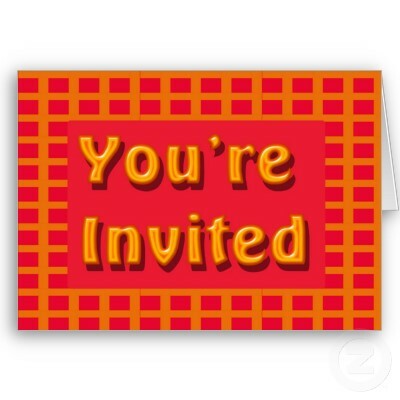 You are cordially invited to join FATDEC’s next meeting to be held at 5:30 p.m., Tuesday, February 1, at Mid Florida Tech in Orlando (2900 West Oak Ridge Road Orlando, Florida, 32809). Come learn more about the online courses we offer adult students, who our members are, and how you can join, and get involved! FATDEC would love to have you as a guest! FATDEC, Florida Adult and Technical Distance Education Consortium, is a group of public schools, school districts, and community colleges who are working together to deliver curriculum in a web-based environment for adult education and career technical programs in Florida’s postsecondary public institutions. Who can attend? Anyone involved in adult or career/technical education at a public educational organization – CBOs, this means you, too!! Please email Kim Gates (Kim@fatdec.com) to RSVP and for additional information. Where will FATDEC’s next meeting be? At the Florida Literacy Conference in May! Hope to see you there. FATDEC is proud to announce that 2 new members have joined the consortium! The organization warmly welcomes Flagler and Baker County Schools! FATDEC, Florida Adult and Technical Education Consortium, is a group of public schools, school districts, and community colleges working together to deliver curriculum in a web-based environment for adult education and career technical programs in Florida’s postsecondary public institutions. Now, the FATDEC network consists of 35 members serving adult students with online ABE, GED, ESOL, and Adult High School courses in 38 counties across Florida! Click here to see our membership map! The online courses offered are very beneficial for adult learners as they have 24/7 access to the program – allowing students to customize their schedule and learn from home – and many of the courses are free of charge! Want to know more about FATDEC? Click here! Upcoming FATDEC Meeting (9/29/10) at ACE! Please join FATDEC at our next face-to-face meeting that will take place during the ACE Conference! This meeting is open to members & potential members or anyone else who would like to know about online courses for adult students. The meeting will be held from 5:30-6:30 p.m., Wednesday, 9/29/10, in the “Lake Hart B” room of the Hilton Orlando. Check out the updated FATDEC member map found here. Welcome to the new members who are joining FATDEC for the 2010-2011 school year: Hernando County Public Schools, Lee County Public Schools, Northwest Florida State College and Sarasota County Public Schools. Don’t see your area represented yet? Contact Kim Gates (kim@fatdec.com) for information on how your organization can be a part of FATDEC! FATDEC is a group of public schools, school districts, and community colleges working together to deliver curriculum in a web-based environment for adult education and career technical programs in Florida’s postsecondary public institutions. The online courses offered are very beneficial for adult learners as they have 24/7 access to the program – allowing them to customize their schedule – and many of the courses are free of charge! FATDEC recently announced that Nancy Marsh, from Pasco County, has been elected as president-elect for 2010-2011. She will assist William Kelly (from Escambia County), FATDEC’s current president, and will then transition to the role of president for 2011-2012. For more information about FATDEC, including the by-laws, resolution agreement, and a list of current members, please click here. The Florida Adult and Technical Distance Education Consortium (FATDEC) is proud to announce some new members! Hernando, Lee, and Sarasota Counties, as well as Northwest Florida State College, will be offering online courses for adult students for the 2010-2011 school year! Hooray for them! As other new members join, we’ll update our website and also announce it here on the FLC blog! Want to know more about FATDEC? Click here. Click here to read a previous post about FATDEC. Did you know that online courses for ABE, GED, ESOL, VPI, and Adult High School (AHS) are available to adult students in Florida? These allow busy adults to still fit education into their lives when the option of physically going to a school or center is just not a possibility. The Florida Adult & Technical Distance Education Consortium (FATDEC) will be having a meeting during the Florida Literacy Conference. Please join us at 5 p.m., Thursday, May 6, to find out more about online course opportunities for adult students throughout Florida. FATDEC members represent various schools, school districts, community colleges, and state colleges. Partner members include Florida Virtual School (FLVS) and the Florida Association for Career and Technical Educators (FACTE). By working together, we’re able to leverage our collective buying power and to help adult students who might otherwise not have an option for education. Come learn more & find out how you could be a part of this collaborative effort!